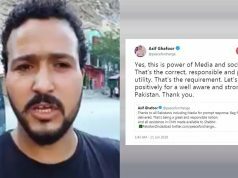 Pakistan being an Islamic country is home to thousands of mosques. However, some of the mosques are quite famous because of their size, beauty, architecture or history. Following is a list of 15 most amazing and beautiful mosques in Pakistan. This beautiful mosque is located in Jhelum can’t. The construction of the mosque began in 1951 and was inaugurated by General Ayub Khan. 14 Punjab Regiment was responsible for its construction. The mosque has two huge minarets and few small minarets on the roof. 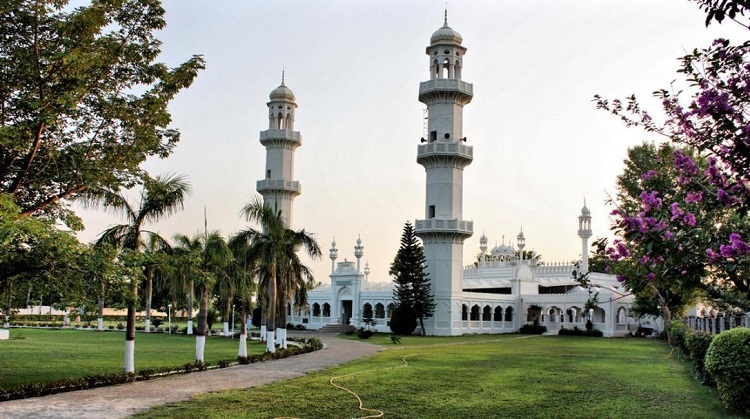 The whole mosque is painted white and there is a lot of plantation around the mosque giving it a beautiful view. Moti Masjid (Pearl Mosque) is located inside the Lahore fort and was constructed in the 17th century. The mosque is located on the western side of Lahore fort. It is a small mosque built with white marble. The interior of the mosque is plain and simple but the ceilings are well decorated. 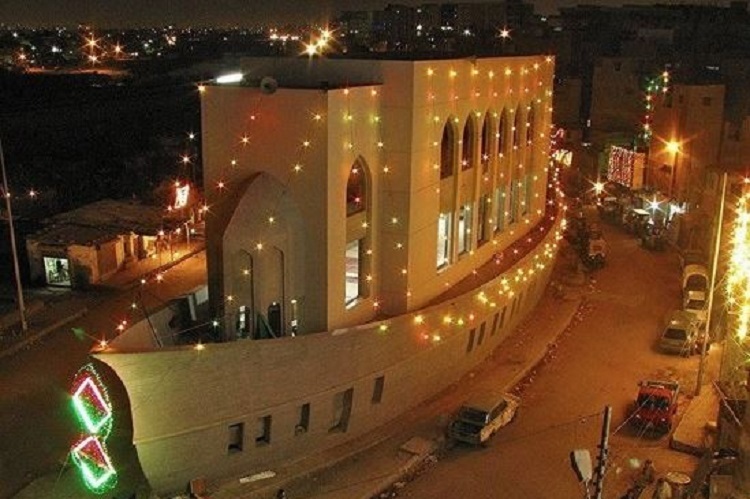 Located in the Dhobi Ghat area near Lyari nadi of Karachi, Masjid e Safina looks like a boat. 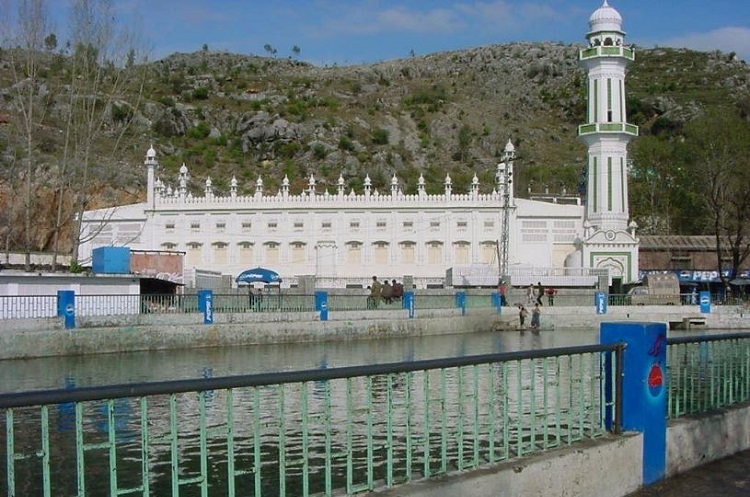 The building of the mosque resembles a huge boat. 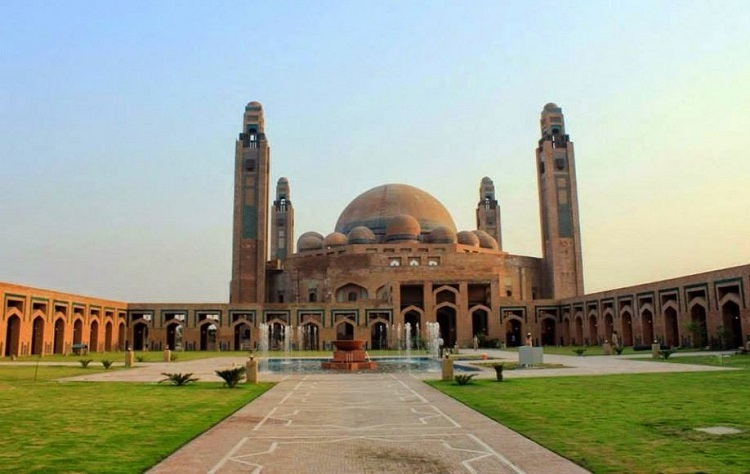 This beautiful mosque was constructed in 7 years with a cost of about 47.5 million rupees. This whole amount was donated by the general public and the locals of the area. The mosque is as beautiful from the inside as it is from the outside. This unique and beautiful piece of architecture has become the identity of the area. 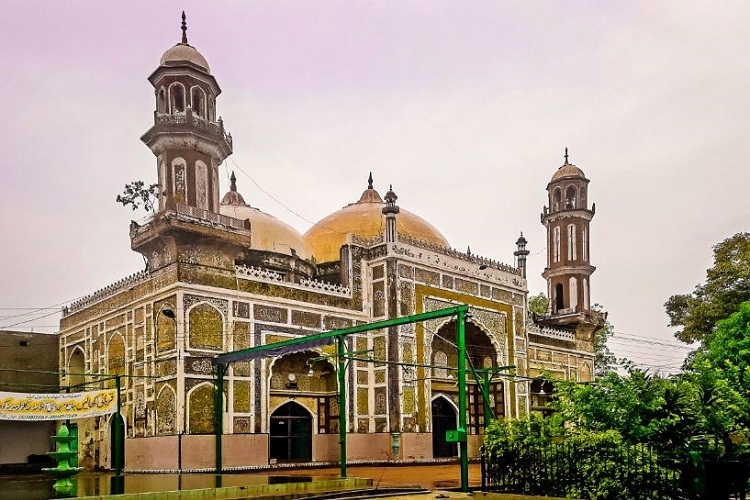 This historical mosque is located in the Naulakha near the Lahore railway station. It was built in 1635 by a lady named Dai Anga who was a nurse of Shah Jahan. The mosque is relatively small but is known for the refined decorative work. This beautiful mosque was built by Shuja ul-Mulk in the 19th century. The mosque has pink walls, white dome and beautiful minarets. 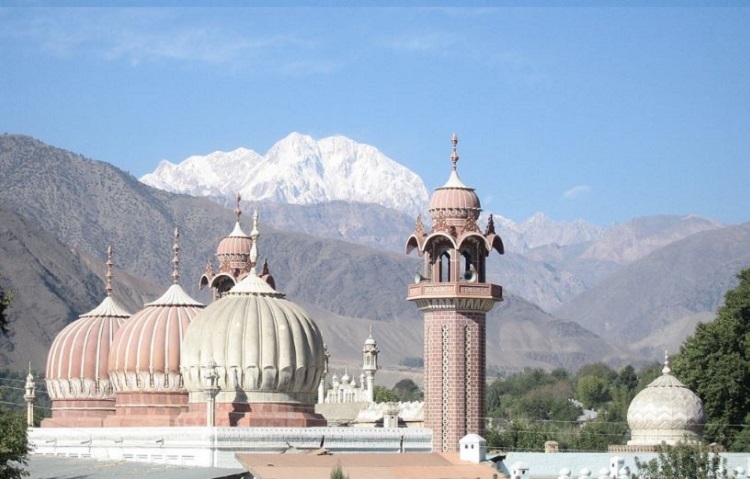 There is a spacious courtyard from where one can see Tirich Mir, the highest mountain of the Hindu Kush range. The location, view and the beautiful building of this mosque is unparalleled and makes it a must visit. Ilyasi masjid (Ilyasi Mosque) has become a famous tourist attraction in Abbottabad. It is built over a stream of water which flows from the mountain. The construction of Ilyasi Masjid began in 1932 and was completed in 1936. The construction involved carving of the mountain for nearly three years. The expansion and renovation of the mosque continued after the creation of Pakistan. Ilyasi Masjid has a pond in front of it which is quite famous among tourists for swimming and boating. The Pakoras from the pakora stalls around Ilyasi Masjid are very popular and are a must eat on a visit to Ilyasi Masjid. 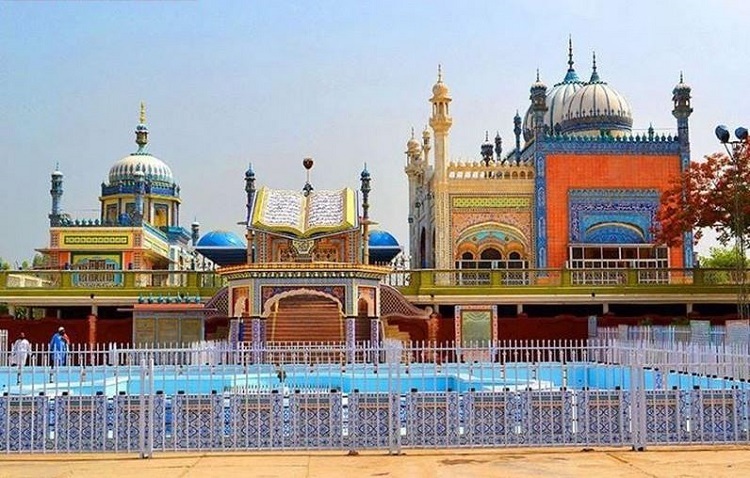 Bhong Masjid (Bhong Mosque) is located in the village of Bhong, Sadiqabad, Rahim Yar khan. The extreme attention to detail on every aspect of the mosque justifies the 50 years of construction of this beautiful mosque. The mosque has an amazing design, elegant calligraphic work and gold framed pictures of the holiest places of Islam. The amazing sight of color and beauty that this mosque provides is unparalleled. 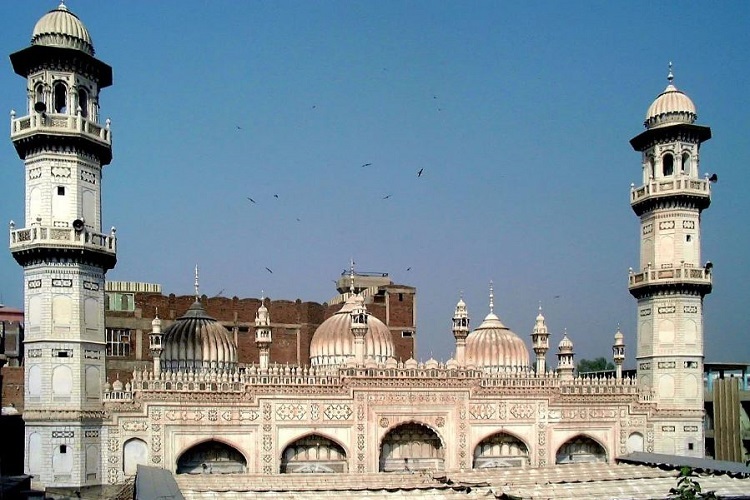 Shahi Eid Gah mosque is a huge Mughal era mosque in Multan. It was built in 1735 by the then Mughal governor of Multan Nawab Abdul Samad Khan. The mosque has 7 domes and huge court yards. The interior of the mosque had beautiful blue tiles and traditional Islamic Calligraphy. It is a must visit place for anyone who wants to explore Multan. 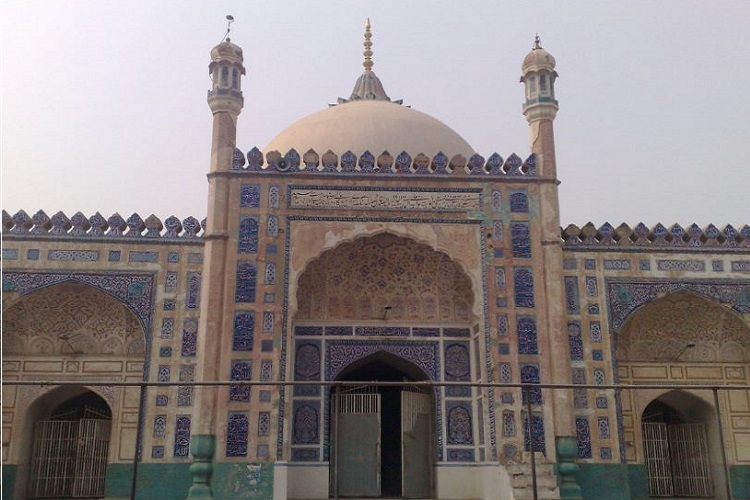 The actual name of this mosque was Mahabat khan mosque named after the governor of Peshawar Nawab Mahabat Khan. But gradually people started calling it Mohabbat khan mosque. The mosque is located near the famous Qisa khwani Bazar of Peshawar. Like most Mughal era mosques this mosque also features beautiful calligraphy on the walls and strong attention to detail. There is a beautiful blue tiled pool for Ablution in the central courtyard of the mosque. As the name suggests this beautiful mosque was built by the Mughal emperor Shah Jahan. 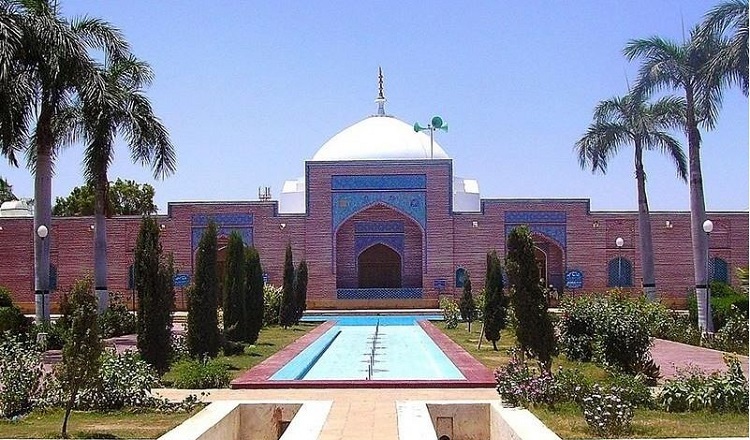 It is located in Thatta in the Sindh province. It is said that Shah Jahan was so impressed by the hospitality of the people of Sindh that he gifted them this beautiful mosque. The walls of the mosque are decorated with mosaic tiles. And the domes have terracotta work on them. The mosque has a total of 101 Domes of different sizes and geometric motifs. The mosque also has a huge garden and a water pool. 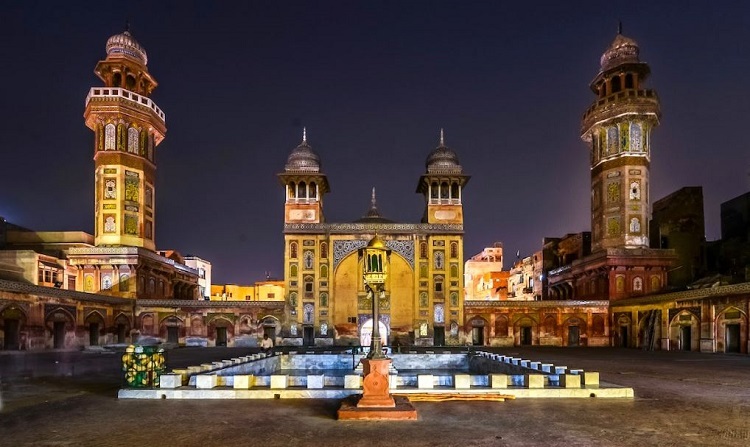 Wazir Khan Mosque is another historical and beautiful mosque in Lahore. The mosque is located in “androon shehar” (Inner city) near the Delhi gate. It was constructed around the year 1634. The mosque has beautiful Qashani tile work. The walls of the mosque are decorated with Calligraphy in Arabic and Persian. 22 shops were also built along with the mosque in the Mughal era. These shops are present even today on the passage way leading to the mosque. This amazing jewel of Mughal era welcomes the visitors who visit the inner city to explore the rich culture and history of Lahore. Masjid e Tooba is a beautiful mosque made of white marble in the Defence Housing Society Karachi. The building of the mosque is actually a huge dome. It is claimed to be the biggest dome of any mosque in the world. The mosque was constructed in 1969. The central hall of the mosque has no supporting pillar and the dome is supported by the surrounding walls. The hall can accommodate five thousand worshipers. The amazing thing about the hall is that a person speaking at one end of the hall can be heard clearly at the other end. The recently constructed grand Jamia mosque in Lahore is the third Largest Mosque in Pakistan and the 7th largest in the world. The cost of this mega mosque was approximately 40 million dollars. The Mosque was inaugurated on 6 October 2014 on the occasiona of Eid ul Adha. The mosque can accommodate a total of 95,000 worshipers. It is an amazingly beautiful piece of traditional yet modern architecture and design. The visitors are greeted with the sight of beautiful lush green lawns and a beautiful fountain in the courtyard. The interior of the mosque is amazing as well. Handmade Multani tiles, custom made carpets from Turkey and chandeliers from Iran all add up to the beauty of this amazing mosque. Grand Jamia Mosque is a must visit place in Lahore. 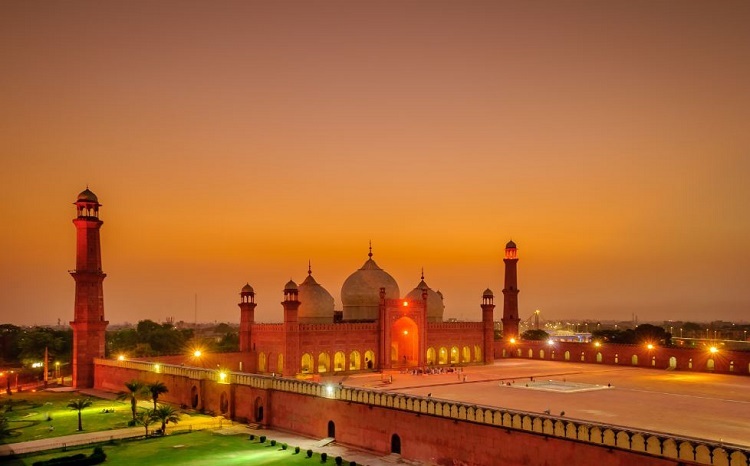 Badshahi Mosque is a famous tourist attraction of Lahore. The Mosque was constructed between 1671 and 1673 by the Mughal emperor Aurangzeb. It is the 5th Largest Mosque of the world. The courtyard of the mosque can accommodate up to 100,000 worshipers. The mosque is a fine piece of Mughal Architecture. Tourists from all over the world visit Badshahi Mosque. 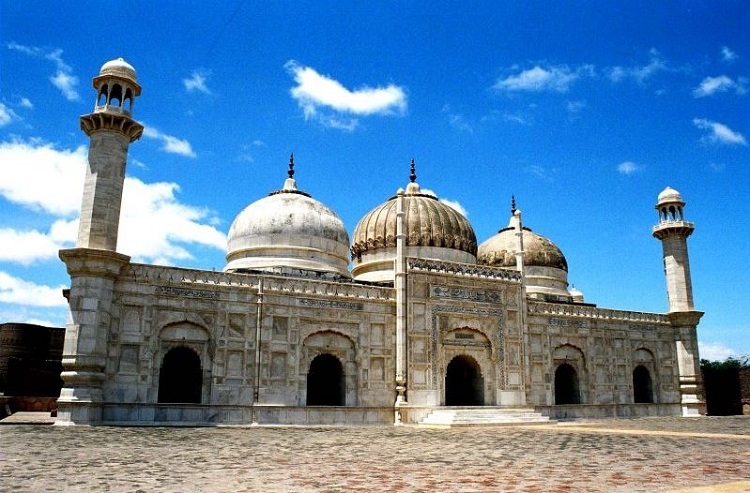 The mosque is also included in the tentative list of world heritage sites of UNESCO in Pakistan. The Faisal Mosque is a marvel of modern architecture. Located at the foot of Margalla Hills in Islamabad, the mosque is designed like an Arab Bedouin tent. 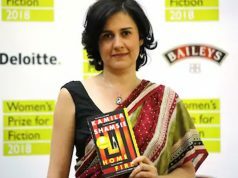 It is the work of Turkish architect Vedat Dalokay whose design was approved in an international competition in which architects from 17 countries participated. The construction of the mosque began in 1976 and was completed in 1986. The then king of Saudi Arabia, King Faisal bin Abdul Aziz took keen interest in the project and the construction was funded by the government of Saudi Arabia. The cost of the project was 130 million Saudi Riyals. 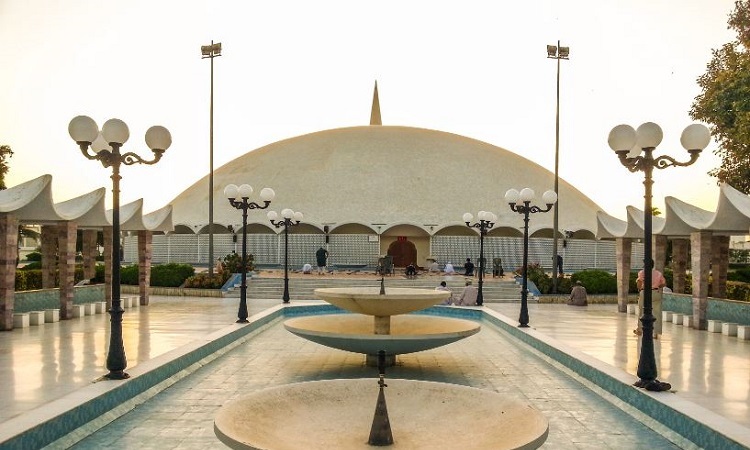 The mosque and road leading to it are named after King Faisal bin Abdul Aziz. 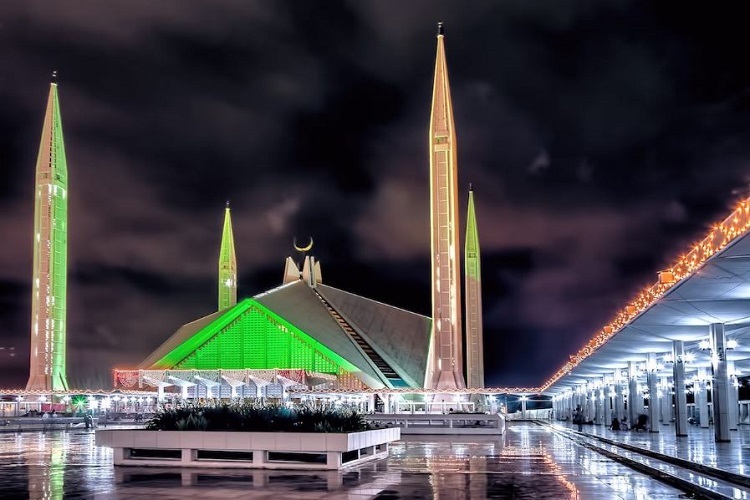 Faisal mosque can accommodate 10,000 worshipers in its main prayer hall and in total it can accommodate about 250,000 worshipers in its porticoes, courtyard and adjoining grounds. It is the third Largest mosque in the world and the largest mosque in South Asia by capacity. 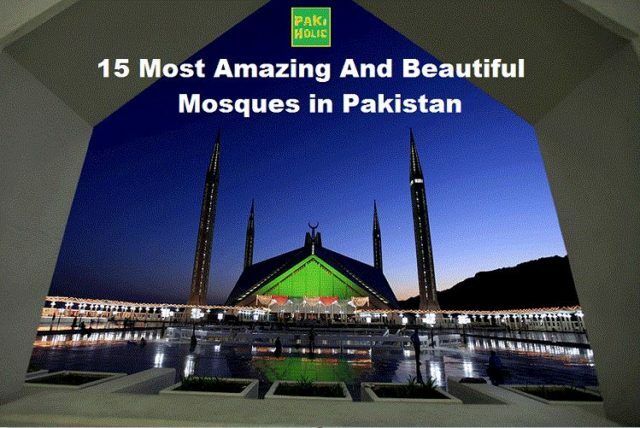 What do you guys think about this list of most amazing and beautiful mosques in Pakistan? Do you have any other mosque in mind that you would like to add to this list? Do let us know in the comments section.